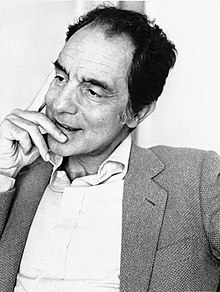 In 1941, Calvino enrolled at the University of Turin, choosing the Agriculture Faculty where his father had previously taught courses in agronomy. Concealing his literary ambitions to please his family, he passed four exams in his first year while reading anti-Fascist works by Elio Vittorini, Eugenio Montale, Cesare Pavese, Johan Huizinga, and Pisacane, and works by Max Planck, Werner Heisenberg, and Albert Einstein on physics. Disdainful of Turin students, Calvino saw himself as enclosed in a "provincial shell" that offered the illusion of immunity from the Fascist nightmare: "We were ‘hard guys��� from the provinces, hunters, snooker-players, show-offs, proud of our lack of intellectual sophistication, contemptuous of any patriotic or military rhetoric, coarse in our speech, regulars in the brothels, dismissive of any romantic sentiment and desperately devoid of women."